Renault customers can now get £2k off the price of a new Kangoo Van Z.E.33 under the carmaker’s new scrappage deal. One of a number of offers currently being run by Renault Pro+ Commercial Vehicles, the Z.E. Scrappage offer brings £2,000 off the price of a new Kangoo Van Z.E.33 when exchanging any van registered before December 2010. 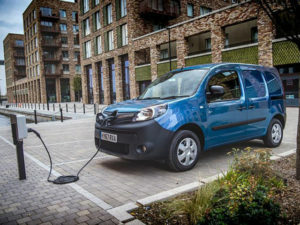 The offer follows last autumn’s launch of the longer-range Kangoo Van Z.E.33, which features a new 33kWh battery and R60 electric motor combo also seen in the new Master Z.E., giving it 50% more range compared to its forebear, while a new, more powerful charger reduces the time taken for a full charge from eight hours to six.